So it begins. Again. We’re in the middle of packing boxes, taking furniture apart and organising moving into a new house. It’s new to us, but was built shortly after WWII, in a time when houses were still made with solid brick walls (as opposed to the somewhat cardboard-box like standard of more recent days). There’s plenty rooms, a big garden with an incredible view and, to me, best of all, an open fireplace. There is lots of work ahead and I’m very much looking forward to resettling some 20 miles up the Cromarty Firth. 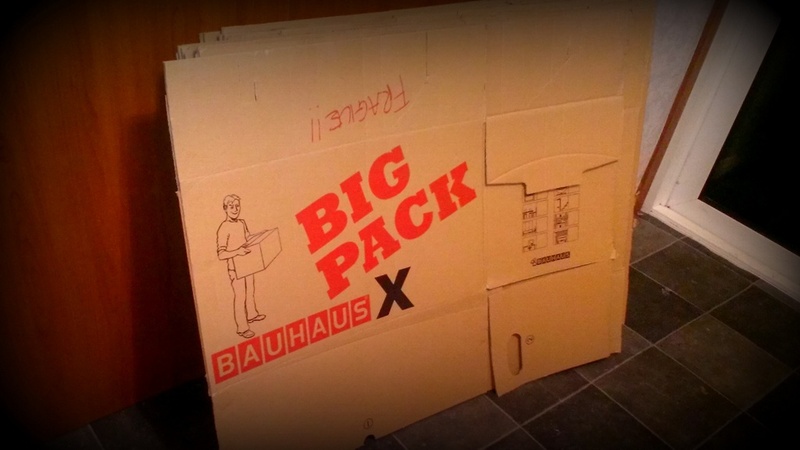 One more mission for the good old Bauhaus-Boxes. All 72 of them. How we got the place, after being let down on an earlier prospect, is a different story. Cut short it is all thanks to Mrs. Bergmann, who – not for the first time – went knocking on doors in the area we fancied most. More than a handful of lucky coincidences and persistent questing later, we met with our new landlord and quickly came to an arrangement. The term Mrs. B came up with on and for this occasion is “Destindipity”, I do like the idea of that.